MEDCY INC. is a 501(c) 3 nonprofit organization. Don't forget we need your gently used durable medical equipment and supplies. All donations are tax deductible. 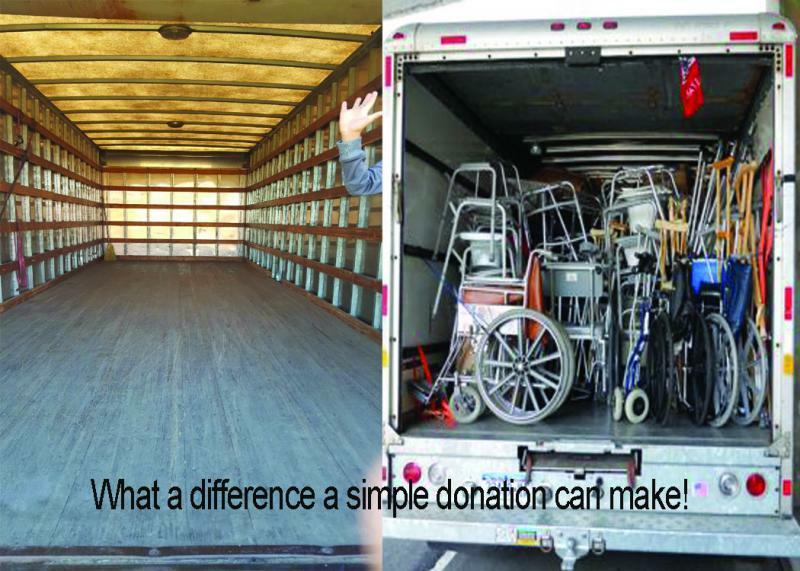 Please call 832-795-8689 to schedule a free pick up of your donation in the Houston area. We are currently seeking donations for our building campaign fund. Cashier Checks or Money orders should be made out to Medcy Inc. Please include a return address so that we can provide you with a donation receipt for your tax records. Copyright 2019 Medcy Inc. All rights reserved.